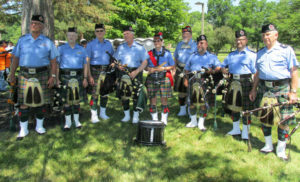 The Cleveland Kiltie Band is a pipe band in the true Scottish tradition. 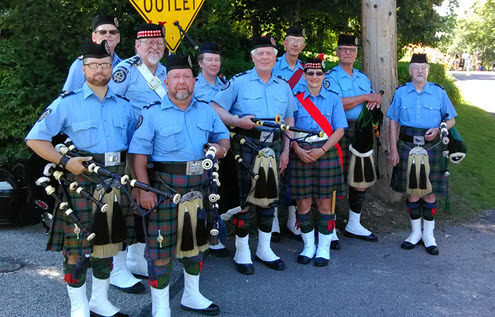 Since being founded in 1923, the Cleveland Kiltie Band has become an inseparable part of the history of Cleveland. The Kiltie Band is adaptable to any occasion and can provide a full Highland program of pipes, drums, and dancers, or a smaller “mini-band” or individual pipers. For generations, families have depended on the Band to march brides down the aisle, enliven parties, and to even play at gravesides. 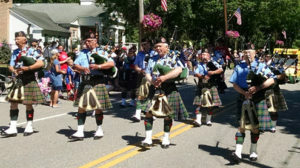 The Band can also offer instruction to aspiring pipers and drummers. The band was invited to play for the traveling Vietnam Memorial on July 1, 2018. 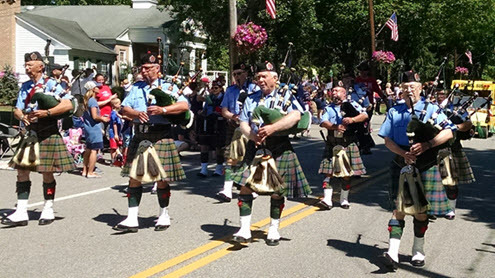 They were proud to honor the men and women who fell in that conflict.